Welcome to Tivoli news! Here, you can keep up with new products on the way, or recently landed and great ways to enjoy Tivoli. 'Art' – Audio Reimagined Together, by Tivoli Audio is a new range of wireless speakers that can be stand-alone, configured to run as a stereo pair, or set-up as a multi-room around your home. You have the flexibility to start with one and grow into a system if you choose. Via the free Tivoli Art app you can play music off your mobile device or stream from your favourite service through your home WiFi. Alternatively you can choose to Bluetooth or play via Direct Mode. Other sources can be connected as well. 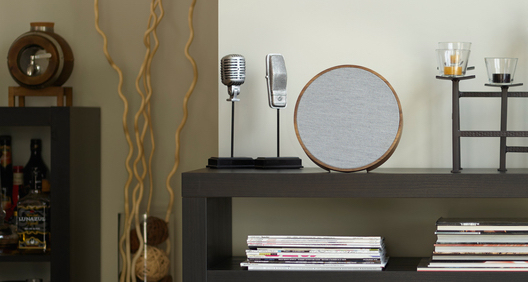 The 'Orb' speaker comes with a shelf stand and has a key–hole for wall hanging. The optional re–chargeable battery means you can be truely wireless. 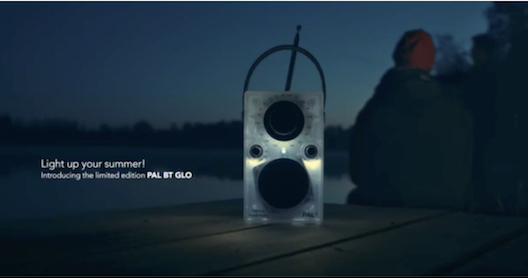 Belying its slim design you’ll hear a clear and full range of sound. Conceived as a merging of home audio and design, 'Orb' is framed in a furniture grade wood cabinet. The high quality fabric grill was developed in conjunction with Danish fabric brand, Gabriel®. This environmentally friendly fabric is designed for its acoustic properties. 'Art' is a new and sophisticated way of enjoying music in your home. 5cm deep and 23 in circumference. Finish options – Walnut/gray, White/gray or Black/black. In our case it’s light up your winter. Click on this image to 'see' the newest Tivoli! Now you can enjoy your music via 'Bluetooth' wireless streaming through the popular Model One AM/FM radio. Simply pair your bluetooth device to listen to your library of music. Modern technology in a classic design. The finish available is Cherry/silver; Walnut/beige; White/silver and Black/silver. 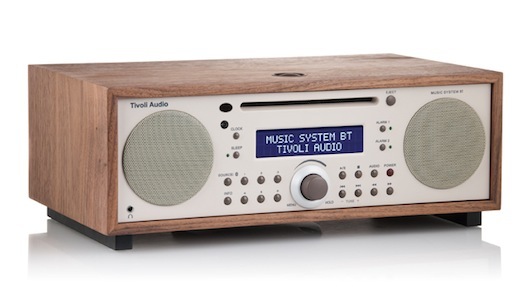 Visit our new online shop where the most popular Tivoli models are available. 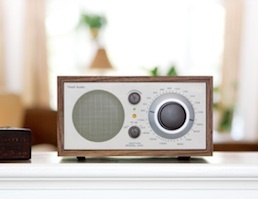 A design classic, the Tivoli Model 3 clock radio is the best way to wake up. And now it's even better with the addition of BlueTooth so you can now wirelessly stream music into it from any smartphone, iPad or BT capable iPod. Over it's long lifespan, the Model 3 has been continuously improved so now sounds even clearer and picks up more stations. 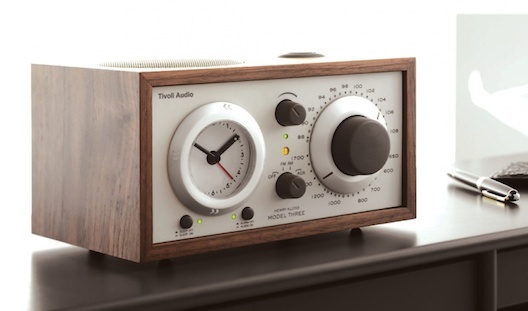 Shamelessly imitated, the genuine Model 3 has a far better finish, is more solid and sounds superior to any other clock radio. And now with Bluetooth you can access music and programming from all around the world. We’ve also got improved aerials and an array of spare parts if required. If you’:d like to get your Tivoli serviced and bought back to new (or maybe even better) drop us a line and send it to us – we’ve got a fixed price of just $65 including GST and courier back to you for a standard service. 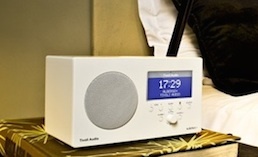 The completely new Tivoli ‘Albergo’ is a smaller sized, (11.1cm H x 18.7cm W x 11cm D), AM/FM alarm clock radio with bluetooth that has a lovely display screen and the same great sound as the acclaimed Model One. Designed so to be easy to use with 'instructional hints' via the display.. Finish options Graphite or White. If playing CDs no longer has a place in your life but you like the sound and style of the Tivoli Music System then you’ll be pleased to hear you can now get a Bluetooth version without paying extra for the CD facility. 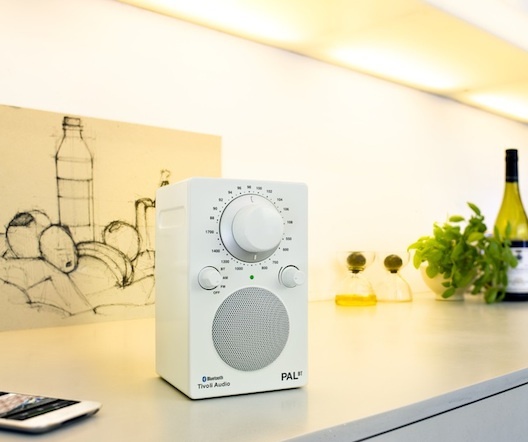 You still of course have all the benefits of the alarm clock radio, digital interface, remote control and auxiliary input that the full music system has. The finish options (for the wood housing) are Black/silver. For those who are the opposite and would like CD but no need for Bluetooth the original Music System at NZ$ 1,499 is still an option. Plus there is the Music System BT which has both CD and Bluetooth at NZ$ 1,699. *At times not all models and finishes are available. If your heart is set on a particular one let us know and you’ll be first in line when it comes available.